The authors of this piece are members of Marea Socialista, a Marxist group in Venezuela. The English translation was previously published on International Viewpoint. 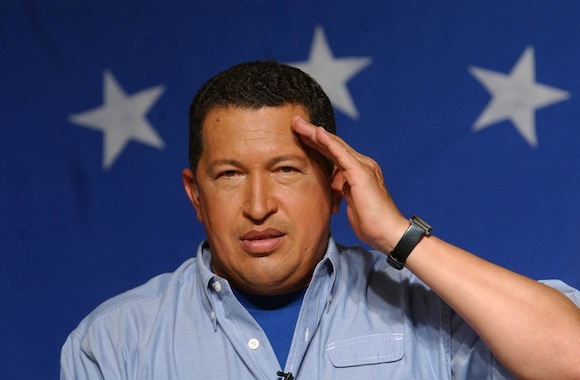 When on the night of December 8, 2012 Commander Chávez warned something unexpected could happen, many who refused to believe were forced to recognise the gravity of the situation. 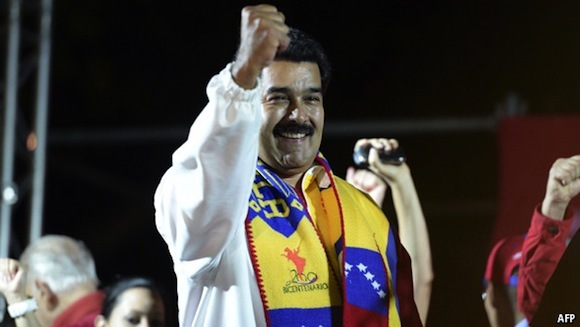 The Bolivarian process began to live its biggest test in 14 years. A situation that no one wanted pushed us into a time of big challenges, one that would test the ability of the leadership chosen by Chávez to continue the project. The strength of the project itself would also be tested, and above whether it was ready to move forward at a pace set by its driving force: the Bolivarian People. So this is not just one more balance sheet. It has historic features. Is it possible to advance towards the final conquest of Independence? Will we be able to break the ties with Venezuela’s dependent and parasitic capitalism? Will it be possible to move forwards to the remaining tasks of the Bolivarian Democratic Revolution, turning this into a transition to anti-capitalism and socialism? Will the leaders of the Process be up to the task? Or conversely, will they go all the way in applying the counter reforms demanded by the bourgeoisie and which these leaders have shown some readiness to apply, in exchange for a political system that is not that of the Process? These questions, among others, marked the level of uncertainty that reigned in 2013 and the answers to them will decide the future of the Revolution. The death of the Commander had the impact of an earthquake. For more than ten days, in a huge parade of loyalty, the Bolivarian People mourned their leader. Over 7 million people paid their last respects and swore to continue the struggle. They did not obey the order to close the doors of the chapel where Chávez lay in state, and as on so many occasions before, they imposed their will. They had not rescued their president from the April coup and the country from the bosses’ lockout to stand outside the gates at this most painful of all the moments of the past 20 years. They had to see and to swear. And they did, even though just a month earlier, on February 8, the standard of living of the people had received a great blow. The devaluation previously denied by the authorities was enacted on the Friday before the Carnival holidays, in the best neoliberal style, leaving the people poorer. Since then, the most serious economic crisis of this period became clear for all to see. It is a crisis which, whether through the passivity, innocence or complicity of sectors of the government, the right-wing opposition turned into a War against the Process, with the aim of defeating it. The numbers of this crisis speak for themselves: inflation at over 50%, 30% of shortages in essential goods, gross manipulation of prices, the evaporation of people’s wages, blatant speculation with the parallel dollar, disproportionate growth of the fiscal deficit, and the application of gangster-like procedures to appropriate the dollars assigned for imports, among many other things, are the emerging evidence of a structural economic phenomenon: the struggle over the control and distribution of Venezuela’s Oil Rent, which now, without Chávez, the local bourgeoisie and foreign capital associated with key sectors of the state bureaucracy felt it was time to recapture completely. Forty days after the death of Commander Chávez, the presidential election gave Nicolas Maduro the slimmest of victories. The country’s streets were stained with blood–15 revolutionary militants (one associated with Marea Socialista) were killed by the counter-revolutionary call to “express your anger” made by Capriles who would not recognize his new defeat, a crime that remains unpunished. The opposition launched a national and international campaign to further weaken the government, and encouraged the discontent that already existed because of the crisis that its local and international financiers were promoting, turning it into an economic war. For his part, President Maduro and the government political team, instead of calling on the Bolivarian People, sought the support they thought they had lost in the vote, by building an agreement with leading businessmen and their chambers of commerce, in the vain hope of solving some economic problems those same sectors were creating. You could see the impudence with which Lorenzo Mendoza1 asked Maduro on national television that the state food companies be handed over to him so that he could get them producing. Yet the fact is you still can’t find the Harina Pan2 that his companies are supposed to be delivering to retailers. And so, while the government sought stability, yielding to the demands of the employers, the crisis deepened and the situation came close to the brink. First the emergency measures and then the election results gave the government a new lease on life. However, given the structural severity of the crisis, if it does not deepen this new course, the recovery will not last and, indeed, it is already showing signs of running out of steam. Leaving aside the substantive measures such as the creation of a Single Centre for Imports and a Foreign Trade Corporation, which the government has scarcely mentioned since, it seems that the idea is simply to move toward a reorganization of the old scheme of a mixed economy. Moreover, the meeting between President Maduro and the opposition mayors and governors, full of ” Christmas goodwill,” shows worrying signs in relation to the type of political system the government wants to agree upon, all in the pursuit of “stability,” with the political leaders of a “united” opposition, which has for now run its course and which is beginning to lose credibility among its own supporters. In 2014, a year with no elections in sight, we will see all these points of conflict come into the open. After the economic measures and the municipal elections that gave victory to the government, what we are seeing is the frozen image of a photograph that will burst back into movement. The hostile forces that the government wants to bring together with a call for “peace” – which ever since Chávez came to power in 1999 the oligarchy has shown it does not respect – are irreconcilably opposed to one another and will clash under pressure from the depth of the economic crisis. What position the government adopts in the face of these clashes, which have already started, will determine whether it is strengthened or weakened. Free from electoral distortions, 2014 will undoubtedly be a year of definitions. Putting order in the mixed economy or moving towards a new, independent and sovereign model? The latest economic announcements suggest that the chosen path is to sort out and clean up the old model of a mixed economy, expanding the opportunities for private capital to accumulate. That means the participation of the bourgeoisie in the distribution of the oil rent. The adjustment of the economy’s highly distorted prices is starting with an attempt to eliminate “subsidies” without touching the structural basis of this distortion, and to administer in a more “orderly” fashion the allocation of dollars for imports. The promised consultation on increasing domestic petrol prices – a consultation that will not be genuine unless based on a referendum as provided for in the Constitution – is an example of this approach. However, there is no mention of other profoundly outdated prices, like that of wages for example. This is not the place for a detailed study, but just taking the minimum wage and comparing it with the prices of basic goods, it is clear that its purchasing power fell by at least half in the last year. The proposed gradual increase in the price of petrol will have a sharp regressive impact if it is not accompanied by at least a similar adjustment in wages. This said, such a mechanism can only work as an emergency measure. The policy of regulating prices in the domestic economy through administrative procedures, while necessary in the emergency, has a strongly voluntarist character. It does not take account of the fact that, given the rentier character of Venezuela’s dependent capitalism, these prices are formed in a dispute between different social sectors for the appropriation of oil revenues, that is the wealth captured abroad by selling oil. Therefore, unless the dependence on oil rent is broken, and a new productive model established, these prices which today are held in check with legitimate emergency measures, will not be corrected over the medium and long term through simple administrative regulation. a) Not one more dollar to the bourgeoisie. Absolute state control of oil rents and of the dollars in which this is expressed. b) Monopoly of Foreign Trade with strict social control. c) State Monopoly of credit allocation, in order to finance the new productive model. Only in this framework will the correction of prices that profoundly distort the domestic economy, like that of petrol, achieve their objectives. Otherwise, they will feed an inflationary bonfire whose consequences will be suffered first and foremost by those who live on their wages. This is why the proposed debate on the price of petrol or that proposed for electricity prices, should be in the context of an overall discussion, including: a new tax system involving the elimination of anti-popular taxes such as VAT, combined with higher taxes on profits, financial speculation, and luxury goods, among others. That is a tax regime that makes those who have more, pay more. Similarly, recovery of the dollars stolen from the State through the falsification and manipulation of imports revealed in SITME, and now in CADIVI too, is an essential step in financing the plan. In other words, we say the debate has to look at the whole picture, and not just petrol prices. a) The emergency measures against usury and speculation that had a highly positive impact. b) Being November and December, it’s the time of year when year-end bonuses are paid, meaning those who work to live get on average two and a half months additional pay. Once this temporary situation has passed, the crisis will again show its cruellest face. In fact, even if the measures against usury and speculation affecting basic items such as food and property are maintained and extended, as the people hope they will be, and even if they succeed in bringing prices back down to the level they were at last May, wages will not have recovered their purchasing power, because at that point they had already suffered a depreciation of about 30%. a) The failure of private companies and ministries to pay their workers’ HCM health insurance contributions has caused acute problems of medical care. One example is that of teachers; a large part of the country’s 600,000 primary teachers have no health coverage, and this at a time when the public health system is in a state of collapse. b) The paralyzation of important collective bargaining agreements. c) The inadequate and unfair character of many collective agreements that have been signed, leading to a serious lag in wage levels, as in the case of healthcare workers. d) Discontent among car workers as a result of a decree intended to control car prices, but which is favouring vehicle importers and damaging the contractual rights of car workers, for example their annual quota to buy cars directly in factories where they work. e) Dissatisfaction among cultural workers as a result of the decree to intervene in the Teresa Carreño Theatre, decided without consulting the workers and putting at risk the rights they have won. f) And the irregular and inadequate functioning of the workers’ and house-to-house MERCALs and PDVALS (subsidised food markets). a) The anti-trade union policies of the Ministry of Labour that favour the employers. For example, nearly two years without legalizing any new unions. Barriers and obstacles to normalizing the situation of those that already exist. The dismantling of the occupational health and safety system, and the attacks on health and safety reps. Plus the obstacles to trade union normalisation demanded in the Organic Labour Law of the National Electoral Council, the CNE. b) The refusal of employers to implement key clauses of the new Labour Law, for example in adjusting the working week. c) Finally, we cannot fail to note that the role of new managements or interventions in state enterprises by the military is causing increasing discontent among the workers in these companies and a paralysis of production that seems in many cases to be deliberate. We shall not dwell on this list which of course could be much longer. But it was necessary to spell out some of them because these are the real causes of discontent, which once the holiday season is over, will reappear in full force and lead to conflicts and struggles. The conflicts that will develop after the Christmas period is over will take the form of struggles over specific demands and will most likely be isolated from each other. And it’s probable that for this reason they will be unjustly attacked, even though they will not lose their strength and impact. However despite the specific nature of these struggles, they will express the economic and political dispute over the need to build a new anti-capitalist productive model, as an effective way, from the workers’ point of view, of overcoming the current crisis. Nicolas Maduro, Hugo Chavez’s successor. In this period it will become clear if the CSBT (Bolivarian and Socialist Workers’ Central, the main pro-government union confederation) is going to continue playing the role of firefighter in such conflicts, maintaining its extreme dependence on the government. Because if this role does not change radically, workers will not wait for a few leaders far removed from their members, but will take their own path. Reality will push them in this direction. If, as is rumoured, one of the main political advisers of the CSBT is appointed to head the currently lacklustre and discredited Ministry of Labour, the pressure of the workers will also demand that this body take a more forceful role, which it hasn’t done so far.3 At the same time, because these coming conflicts will be profoundly political, similar in content to the fight that led to the nationalization of the steel works, Sidor, in 2008, they will also put to the test those that currently claim to be the political leaders of the Bolivarian People. In this sense the role played by the PSUV (Venezuelan United Socialist Party) and the Great Patriotic Pole (the alliance of pro-government parties around the PSUV) in the municipal elections should not confuse their leaders. If the leadership of the PSUV believes, as it is currently claiming, that the party has consolidated its hegemony as the representative of the Chavista people, it will find itself confronted with an even more serious haemorrhaging of its membership than in the recent past. Strictly speaking, the municipal elections were the PSUV’s last chance but one as the party seen by the Chavista people as their own in the electoral field. In the last few years it has tended to squeeze out grassroots activists and cadre with any critical attitude or even just with political concerns. It has changed its organizational form to make it almost impossible for anyone to play an active part unless they come under the umbrella of one of the various power groups within the government. It has become a party of cronies trading official posts and seeking to control decision making bodies. It functions as an electoral machine that has lost any kind of democratic practice. As a current within the party we can confidently say that this is not just our view, but that of many prominent leaders, cadres, and activists whose criticisms are even sharper than ours. In any case, the calling of the PSUV’s long overdue Congress is essential to try to make the profound changes needed in the PSUV as it currently stands. On the other hand, the parties of the Great Patriotic Pole – and we are talking about the parties that really exist as tendencies within the Bolivarian project, not the shameful electoral franchises that have appeared recently – should reflect seriously on their role. After a good electoral performance in October 2012, they have faded as alternatives to the vices that the Chavista people criticise in the PSUV. The new period we are entering means they too must contemplate a progressive transformation, breaking with clientelism, and promoting democratic practices that make it possible to develop revolutionary policies in a plural and critical way. In terms of the organization of the political forces of the revolution we are also entering a defining moment. For now, we hope to have the opportunity to present our positions and to feel represented in the Party Congress, so that we can fight there for the transformation of this administrative machine into a living, democratic, and pluralistic movement, where different currents of opinion can feel represented and be heard, and thus help deepen the Bolivarian process in an anti-capitalist direction. This point would be incomplete if we didn’t also note the profound crisis in the political representation of the right-wing opposition. The municipal elections showed, from the political point of view, and aside from the numbers, the weakness of this opposition as an alternative to Chavismo for working people. Without this support, it is unlikely they will be able to return to government through electoral means. The defeat they suffered on 8 December, more than just electoral, which it is, is political. Their project of “unity,” seeking to become the alternative to Chavismo and build a new political system that could fill the space left vacant by the death of Commander Chávez, was defeated. This crisis and its internal dynamics of squabbles over leadership and possible splits, is, for the moment, a factor in favour of the government and its political stability, albeit an unpredictable one. But here too we can expect new developments. a) To restore living standards lost in the crisis. Today, in the middle of the Christmas period, people are finding it difficult to maintain their standard of living. The shortages have not gone away, but above all the crisis and the economic war have evaporated the purchasing power of wages. From every rank and file union body, from every Federation, every Workers’ Council, every organised group of workers, the demand must be made loud and clear for the restoration of the family income. This will be to begin with a local struggle, but we must also take it to the national level. Therefore it is essential that from each of these struggles there is pressure on the CSBT to demand of the government a solution to this serious problem. b) To use the government’s proposal to discuss price lags as a way of opening up a national debate in which we as working people can outline the new production model of the transition. The task of building this new productive model should be in the hands of working people. We can not wait for a solution to drop from the sky. There are sectors of our working class who have already generated important inputs to this debate, such as the Socialist Guayana Plan. We can begin this debate by discussing in each company the government’s plan to increase the price of petrol. This debate is an opportunity to propose including wages in the prices that are out of date. And it is also an opportunity to ensure that the consultation takes the form of a referendum. In this way we will begin to build from the grass roots the Workers’ Constituent Assembly4 and kind of production we need to define the new productive model that this Process needs. c) To develop the programme and the organisational form of the current, movement, or political party that can represent the left of the Bolivarian process. The year 2013 has clarified the political differences within the Chavista camp over the future course of the Process. Important debates have developed, especially over how to confront the crisis and the economic war. These discussions have shown that the radical left of the Process has important contributions to make, and these were clearly seen in the way the emergency measures were applied. But there are other areas in which the left of the Process has positions and contributions to make, for example in the field of the defence of the democratic rights of social activists like Julian Conrado5 or Basque Asier.6 Or the fight against impunity for those who carry out or plan the murders and persecution of social activists, like the indigenous leader, Sabino,7 or peasant and labour movement leaders. Or the opposition to giving an amnesty to those responsible for the Llaguno Bridge massacre and other crimes committed during the April 2002 coup and sabotage, for example, Simonovis.8 Or the struggle for the effective implementation of gender rights or in the field of environmental rights. Or the deepening democratic participation in the construction of anti-capitalism and our socialism. Or in the field of workers’ control and social oversight. Or in the area of active and concrete, international solidarity with peoples struggling around the world, like the heroic Palestinian people who are suffering genocide at the hands of the Israeli regime. Or in many other areas where so many of our currents, platforms and other organisations share the same approach. The development of a shared programme for this political space on the Left of the Process is crucial to make all these positions visible and break the media boycott imposed on critical thinking. d) One of the most characteristic features of the Bolivarian process was, from its inception, making visible those hitherto invisible. It began to give voice to those who had had no public voice. Critical thinking was given importance. Fundamental rights were extended to those who had been excluded. As a result there was an intense process of debate and of politicization of the Bolivarian People. Conferences, meetings and a multitude of international activities found in this country a place to meet and discuss, as well as to express their solidarity with, the Process. Our people came together in squares and streets, but also in a vast array of halls and meeting spaces that could be used for all the essential debates of the Bolivarian Process, without anyone asking which revolutionary organisation had called the meeting or debate. The different spaces available could be used by all, to strengthen the education, organization, and awareness of the revolutionary people. Countless groups formed, a strong and vital movement of popular communication was born and developed in the heat of the moment, driven by highly committed activists and often getting support from the State. Community radios and TVs, alternative newspapers, websites, all defending the Process, were the vehicles for hearing the voices those who previously had been silenced and made invisible. Today that democratic and participatory explosion is in danger: the space for debate is drastically reduced, and only those sectors or groups that toe the official “line” get a hearing. Popular and alternative communication is finding it harder and harder to carry out its mission, the frequencies of community radios are squeezed out, there’s no more support for printing popular newspapers, the alternative media that show the people’s struggles or give space to critical voices are coming under pressure, and many of the leading figures of this democratic expression have been removed from the public media. Critical thinking is demonized by those with institutional power. This lively and creative movement, a true expression of democracy, where important sectors of the Bolivarian People could express themselves in all their diversity, is languishing. This was was the everyday demonstration in practice of the democratic approach of the Process and of the Government, which gave the lie to denunciations made by imperialism and the bourgeoisie that the Revolution was undemocratic and that Chávez was a dictator. The recovery of this spirit of diversity of thought, of respect for different currents with the Process, in an open and frank debate, is essential to save the Revolution. Otherwise this will decay or change its democratic and participatory content for the old formulae of formal democracy, where those who “know” speak, where domesticated academics do the thinking, and a single orthodoxy reigns, ultimately suffocating the rebellious and irreverent creativity of our people. The recovery of this spirit and these spaces is one of the central struggles of the next period. It means putting back into action one of the main drivers of the Process: as Bolivar called it, “Morals and Education” (“Moral y Luces”). And this requires encouraging democratic participation, freedom to express differences, and respect for critical thinking. Defending the Government of President Maduro and the achievements of the Bolivarian process from the attacks that may occur, requires increasing effort in the fight against the economic crisis and the war over who appropriates the Oil Rent. This is the main priority now. But this must not stop us from seeing what is at stake in the coming period. That is why we put forward these proposals to shift the course of the Process. The determination of the Chavista People to defend the Bolivarian Process was demonstrated once again on 8 December. Overcoming a year of painful events and uncertainty, they showed their desire for change remains intact. The working people, who responded to President Maduro’s call for the 8D elections, and proved their strength, now face the coming struggles to defend the gains of the Process. That’s why 2014 will be a year of definitions. 2 One of the most basic Venezuelan commodities, the flour used to make the typical arepas, and produced by Empresas Polar. 4 The proposal for a Workers’ Constituent has been mooted in parts of the trade union and Bolivarian movement for several years. The idea would be to bring together all sections of organised labour to discuss and propose a new framework for the full range of issues facing Venezuelan workers, from collective contracts and labour rights to workers’ councils and workers’ control. 5 Julian Conrado is the nom de guerre of a Colombian revolutionary singer-songwriter, and also an ideologue of the FARC. His detention inside Venezuela, at the request of the Colombian authorities, came as part of the rapprochement between the Hugo Chávez and the new Colombian government of Juan Manuel Santos. It caused deep misgivings, or indignation, among many on the left of the Bolivarian movement. Shortly after this text was written, the Venezuelan government announced that Colombia had withdrawn its extradition request and that Julian Conrado had travelled to Havana to join the FARC’s negotiating team in the peace talks underway there. 6 Asier Guridi is a Basque activist, allegedly part of ETA’s “logistical apparatus”, who went into exile in Venezuela over a decade ago. Venezuelan Intelligence arrested him in September 2013, apparently under pressure from its Spanish and French counterparts. 7 Sabino Romero was a leader of the Yukpa community in their struggle against landowners and coalmining concessions in the Perija Hills of western Venezuela. He was shot dead by hired gunmen on 3 March 2013. 8 19 Venezuelans, including both opposition and Chávez supporters, were shot dead on 11 April 2002, most of them close to the Llaguna Bridge in the centre of Caracas, apparently by Metropolitan Police snipers. The opposition falsely blamed the incident on the Chávez government and used it as a pretext for their failed coup of the following days. Ivan Simonovis was head of security for the Caracas metropolitan government at the time. He was jailed in 2004 for his part in the massacre. The opposition currently run a high-profile campaign for the release of their “political prisoner”. The government has given signs it might consider releasing him on grounds of his poor health.